The first thing you'll need to do is ensure you are logged into the Messenger app with your Facebook login details. 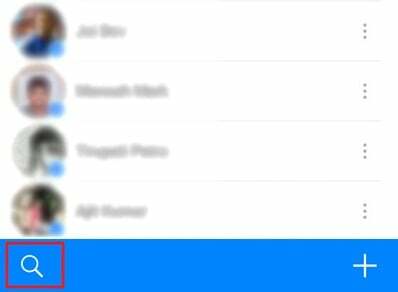 Once you are logged into the app, locate the user whose conversation you want to view and select them. Now you've selected them your entire conversation history with them will open, displaying your newest messages first. To view your older messages you'll need to scroll upwards through your chat history, which will lead you to your oldest messages with the selected contact. 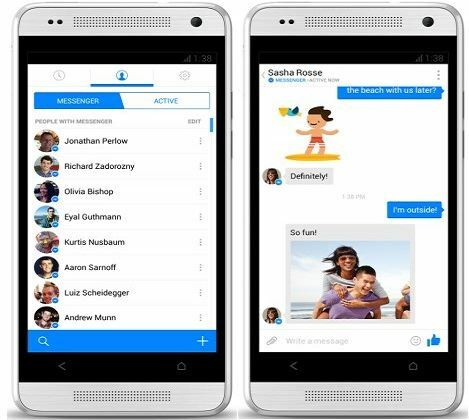 It is a long-winded process but, unfortunately, there isn't currently any functionality in the Android Messenger device to view your older messages any quicker. Luckily, there are a few things you can do via the Facebook website to sift through your backlog of messages much faster and work your way from oldest to newest, rather than using the Messenger app and wasting your time scrolling through message after message. 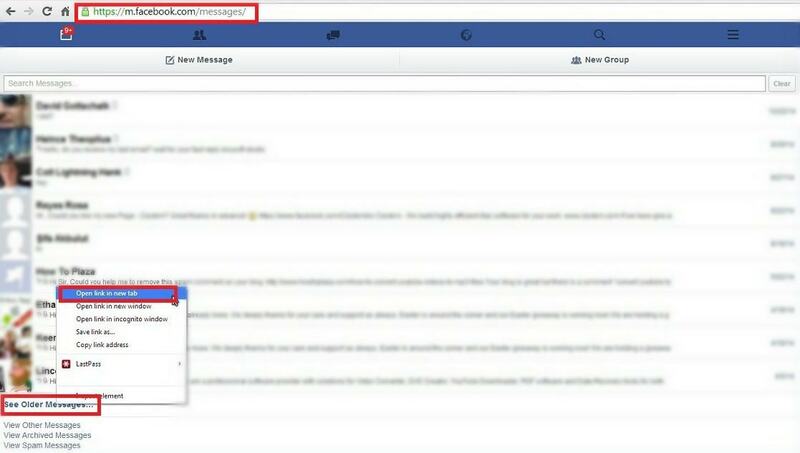 Log into Facebook and open up the Messages screen. Your conversations will be displayed down the left hand side of the screen. Choose the conversation you want to view. The most recent messages in the conversation will now be displayed. At the top of the screen you'll see a magnifying glass icon, click on this and you'll see a search bar displayed. At this stage you'll need to search for a keyword that you know appears in your earlier messages with this person. Once you've thought of the keyword and searched for it, it will skip through your messages history to the messages that contain the keyword, bringing you back to the beginning of your Facebook conversation with your particular contact. Log onto Facebook and visit http://m.facebook.com/messages/. From this screen you'll need to select the conversation you want to view, then right click on the "See older messages" tab and select "Open in new tab". View the URL that's displayed. It will be something like: https://m.facebook.com/messages/read/?tid=id.?? ?&start=6&pagination_direction=1&refid=12 Look for the portion of the URL that reads "start=6" and amend this number to roughly how many messages you have in your conversation. For example, if you think you've exchanged 1000 messages change the number to read "start=975". The amendment to the URL will take you back much further through your message history, so all you'll need to do is scroll back a little way to find yourself at the oldest end of your message thread. There are a couple of other things you can try, including downloading your Facebook profile. If you log into Facebook and access "Settings", you can select "Download a copy of your Facebook data", which will condense all of your Facebook profile and messages into one handy file. Once it's downloaded (it can take a while - as you imagine, it's a pretty big file!) you can open the HTML file in your usual browser and access your old messages that way. Another option to access your old Facebook messages on your Android device is to install the app Message Backup for Facebook. This app allows you to easily download a copy of your whole Facebook message history, making the process quick and easily. The download is saved as a .csv file, so you can open it and read through your old messages using any spreadsheet program. Backing up Data from Android to PC could be a great way to reduce the risk of losing data by accident. So, it is really necessary for you to backup Facebook messages, or other crucial data on Android with or without computer. But how? Generally we just need to connect our Android phone with the computer and choose data to backup. In this way we can only transfer photos, audios. However, what if I want to backup the Apps and App data on my phone? How can I do about it? Therefore, that's whyiSkysoft Toolbox - Android Data Backup & Restore come into being. 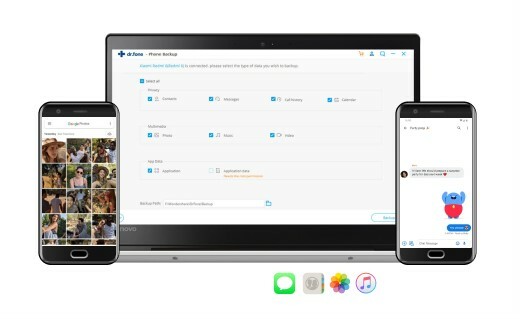 Supported various backup file types, including contacts, messages, photos, videos, audios, Apps, Application data, etc. Rather than restore the entire backup files, you can just pick a specific file from the backup. Easy preview and extranction of backup data. 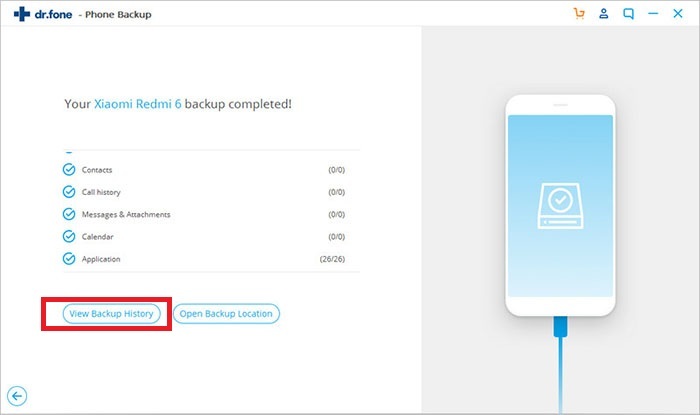 simple steps to backup or restore data. Support more than 8000+ Android device modes that are available on the market. It also allows you to restore the data from phone A to phone B. Step 1: First, make sure you have download iSkysoft Toolbox - Android Data Backup & Restore on your computer. Install and open it. 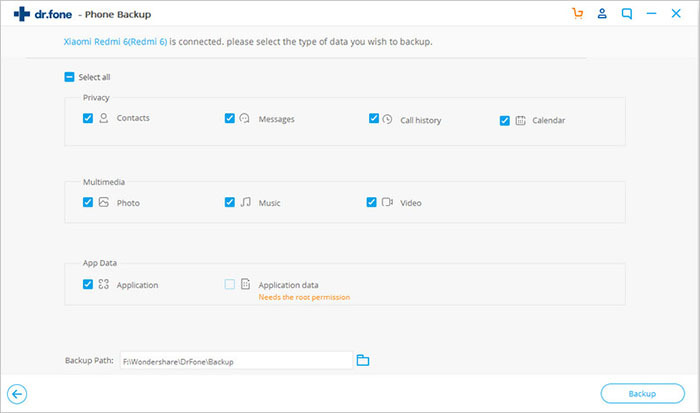 From the main interface, click Data Backup & Restore option. Plug your Android phone with the computer. Then click on the Backup button in the next window. Step 2: Now you get to select the file types that you hope to backup. Selectively check the items then click on the Backup button on the lower right corner to make the program start the backup process. Now you can just wait till it finishes the process. Step 3: When it finishes, you will get a window like this. Click on the View the backup button to preview the files. Now the selected items are saved on your computer as a backup file. 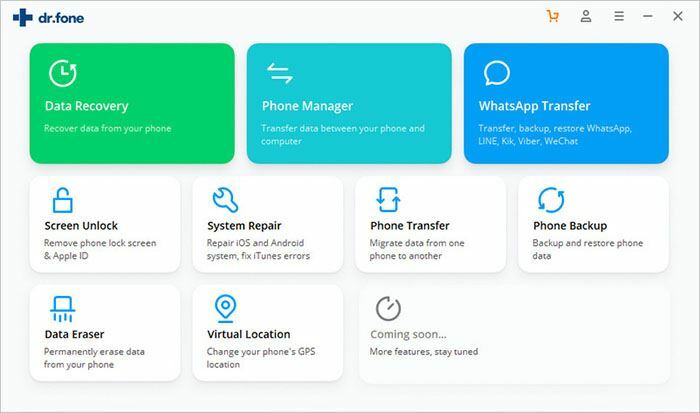 Note: If you found something lost without backup, you can also use iSysoft Toolbox to recover deleted or lost data from Android without any backup. Step 1: When you want to restore data to your Android, you can just go back to iSkysoft Toolbox and click the Data Backup & Restore function. But this time please click on the Restore button in the second window. 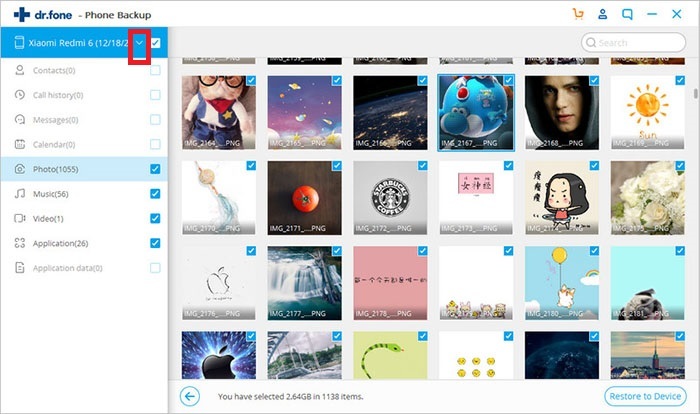 It will show the latest backup files that you can preview. There is a dropdown icon avaiable for you to check the previous backup files. 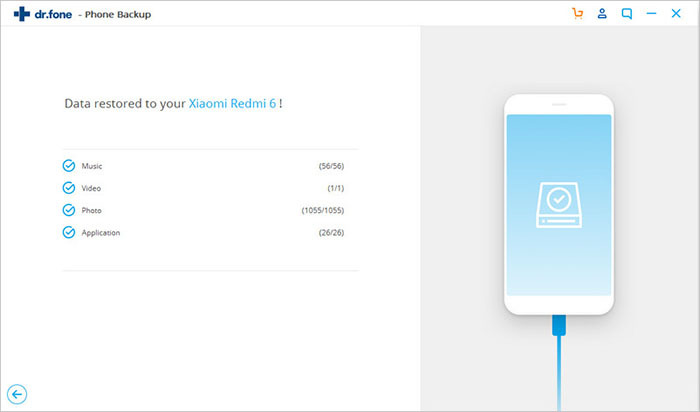 Now check the data you want to restore to your Android phone, then click on the Restore button on the lower right corner. Step 2: The program will start restoring. Please ensure the well connection between the phone and computer. When you get the window like this, it means you have successfully restored the wanted data to your phone.